Do you have a contingency plan in the event of your passing? If your computer goes to a place that sell laptops to second hand users your pictures and information might end up in wrong hands. Do you want to share certain items with certain people after you’ve died? Or maybe you just want to delete your account. If any of these apply to you, continue reading, we’ve got you covered. 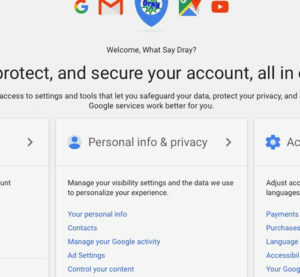 If you use any of Google’s services, it’s likely that you have quite a bit of data tied to your Google account. 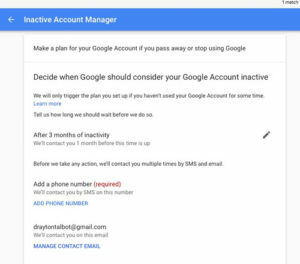 In the event of your untimely passing, Google has a tool called: Inactive Account Manager, which will delete your account if you are inactive for a preset amount of time. 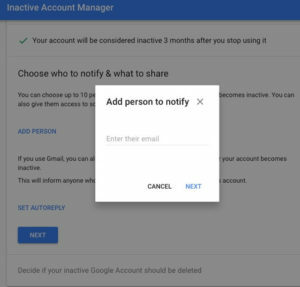 You can also choose who gets notified in your inactive status and which of your trusted contacts gets access to your account data after you’ve stopped using your account. 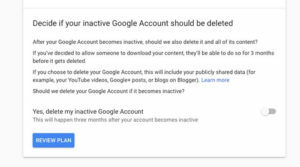 Here are the steps to delete your account and share your selected data. This can be done on any web browser. 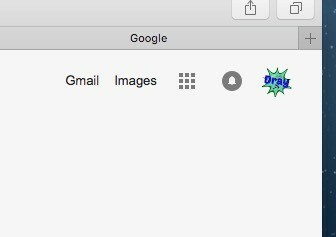 In this process, I’ll show you using Safari. 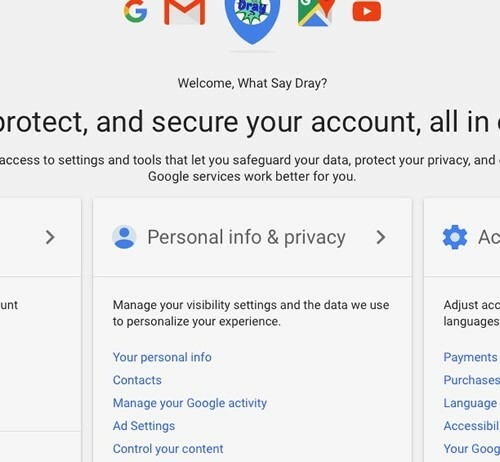 In your browser, after you’ve logged into your Google account select your profile picture in the upper right-hand corner. 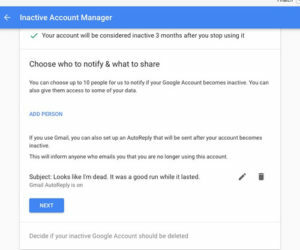 Then select Google Account. 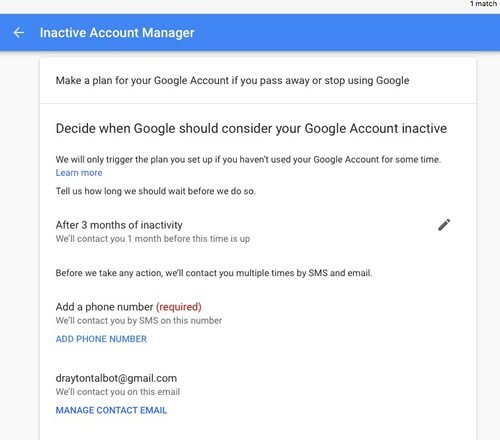 In the middle of the page you’ll see “Personal Info and Privacy” now scroll down that page until you see “Inactive Account Manager”, it’ll be near the bottom. 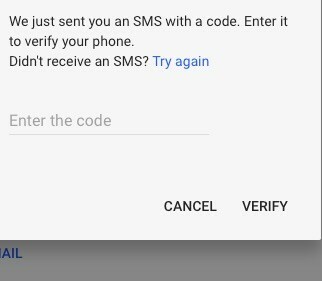 Now go ahead and select “Change This Setting”. 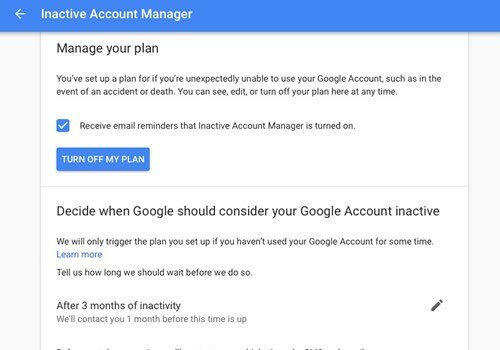 You should see a page that says, “Make a plan for your Google Account if you pass away or stop using Google”. 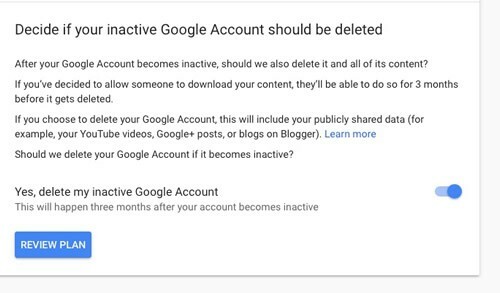 To begin the process of auto-deleting your account, click “Start”. This first step is very important because this is where you will select the length of time that Google needs to wait before it can consider your account “inactive”. You can set this time for 3 months, 6 months, 12 months, 0r 18 months. 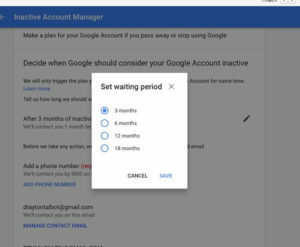 Once you’ve decided upon the time for Google to wait, they will then contact you one month before it’s time to auto-delete your account. 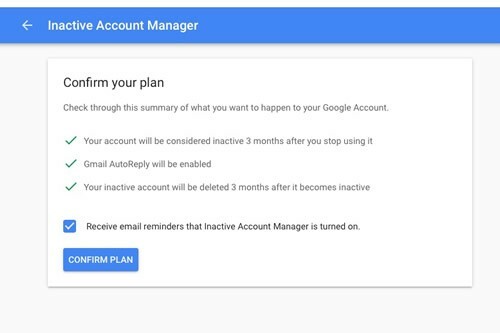 If you do not respond within the month timeframe, your account will be terminated. 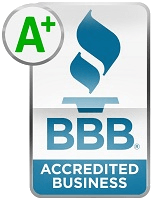 If it’s not already listed you will need to add an email address, phone number, and a recovery email. 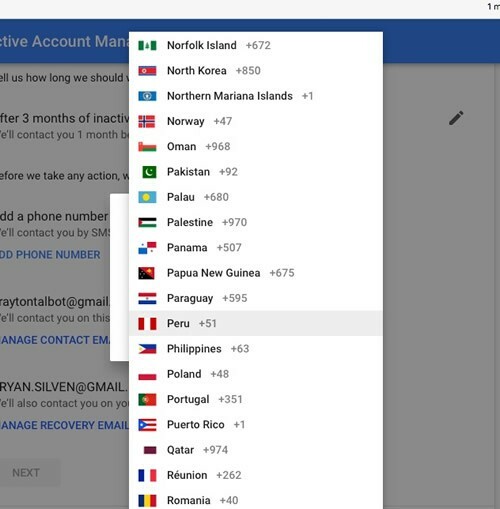 These will be the methods that Google will use to contact you prior to deleting your account. Once you are done with this page click on “Next”. On this screen, you can choose up to 10 people that will be notified when your account is considered inactive. 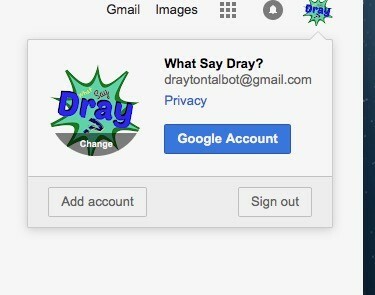 Here you select “Add Person” and simply add their email address. Then you can choose to decide what data you want to share with each individual you’ve added to notify. 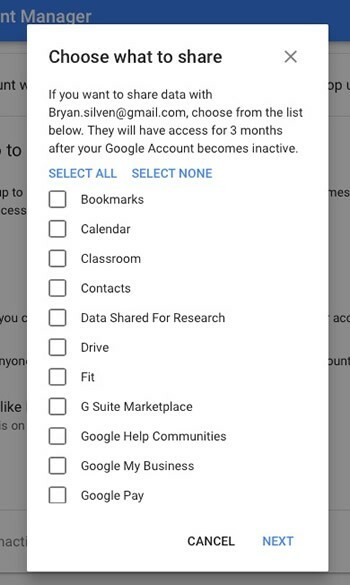 This is optional and if you’ve decided that someone gets access to your account, they have 90 days to download your data. Once you’ve decided what they have access to you can add a phone number for them to input to gain access to your account data. You can also add a personal message. Once you have your personal messages and people selected, then it’s time to decide what you want to do with your inactive account. Here you can decide to delete your inactive account and it will delete everything to include, your YouTube videos, Google+, and blogs on Blogger. 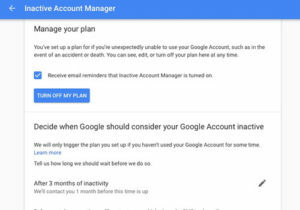 Now that you’ve gotten this far along, you can “Review Your Plan” and then it’s all done and all you have to do now is click “Confirm Plan”. You will find more information in this video.